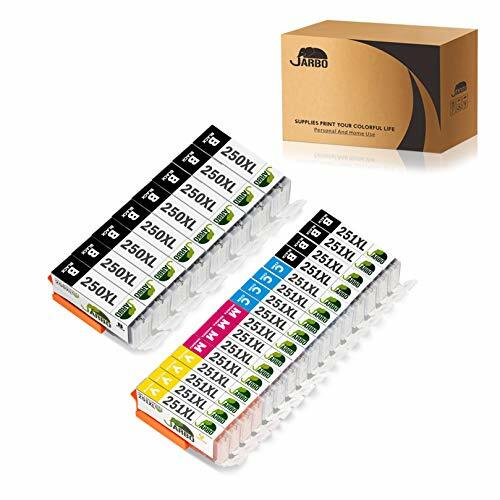 ARBO Compatible Ink Cartridge Replacement!! Sweet Deal!! Contents:NO GRAG, 24 Packs, Compatible for Canon PGI-250 CLI-251 Ink Cartridges, (8 PGBK, 4 Black, 4 Cyan, 4 Magenta, 4 Yellow), up to 500 pages per 250xl ink cartridge,up to 300 pages per 251 inkcartridge (5% coverage).